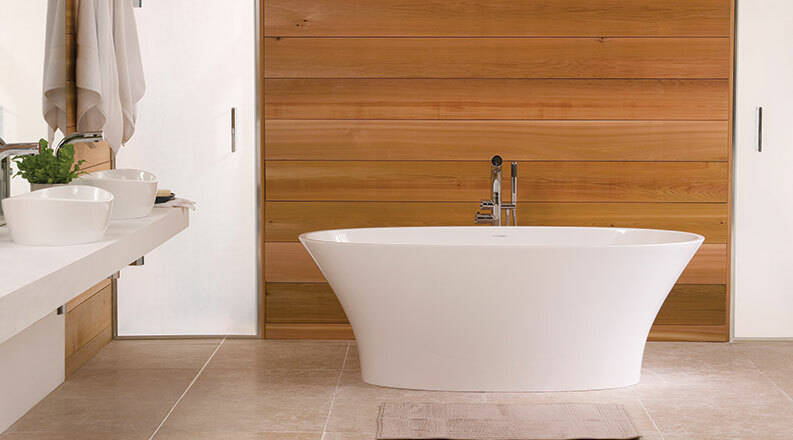 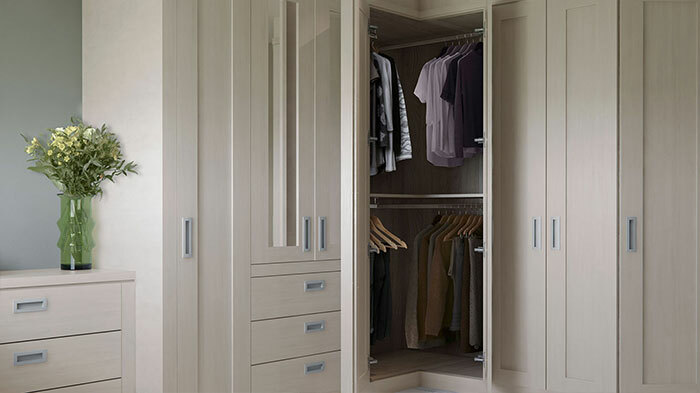 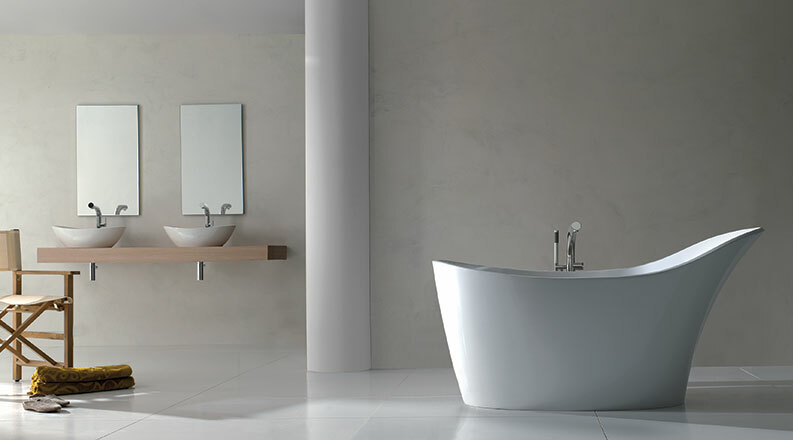 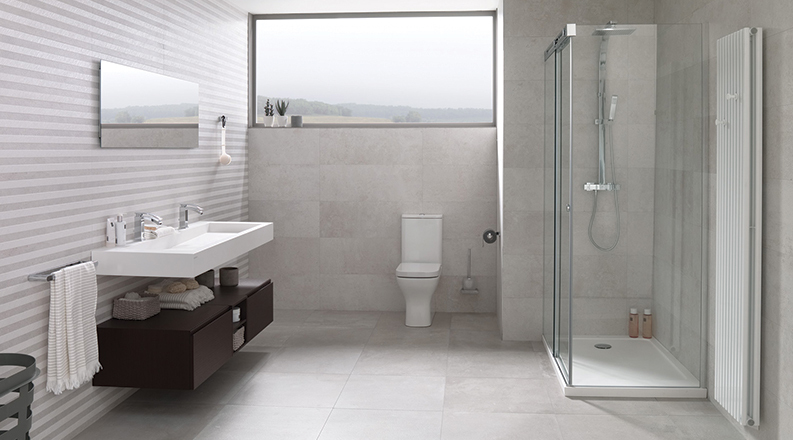 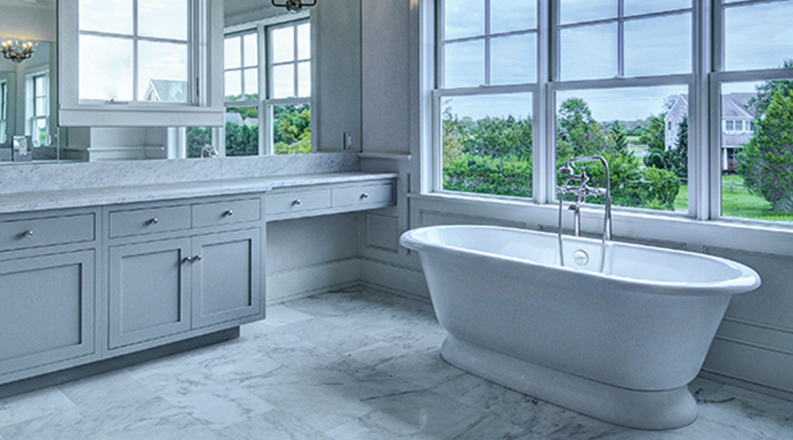 As bathroom specialists, we offer a superb design and quotation service free of charge. 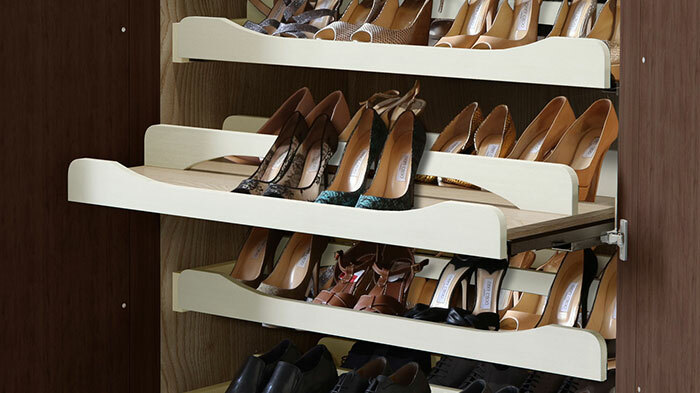 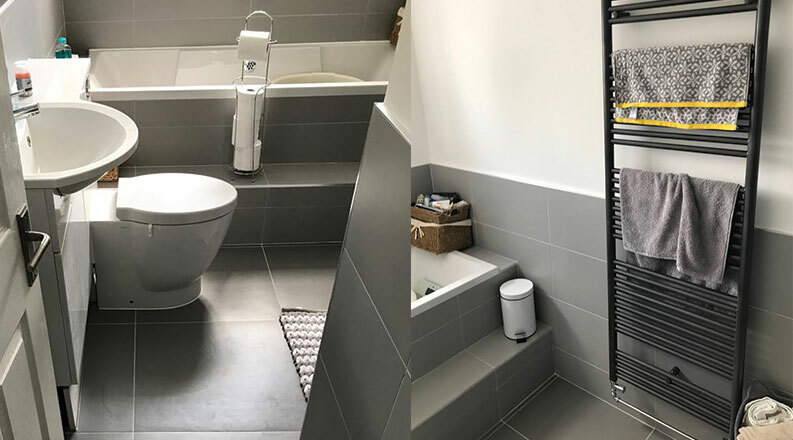 We will only spend a short time measuring your home, as we will then take the sizes and your input back to our studios to put a design together tailored for your needs. 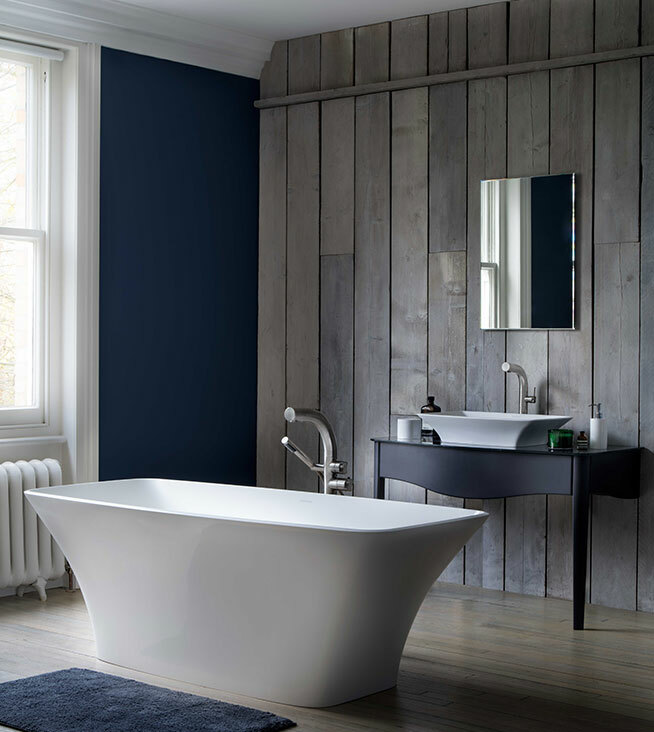 If a traditional bathroom is more to your taste, then you will love the look of Edwardian or Victorian bathrooms. 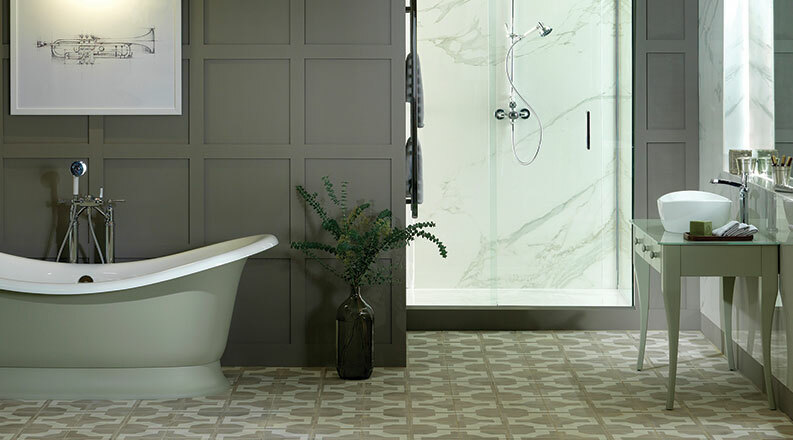 This more decorative suite design is still much sought for, offering you a sumptuous style helping to create a luxurious bathroom space. 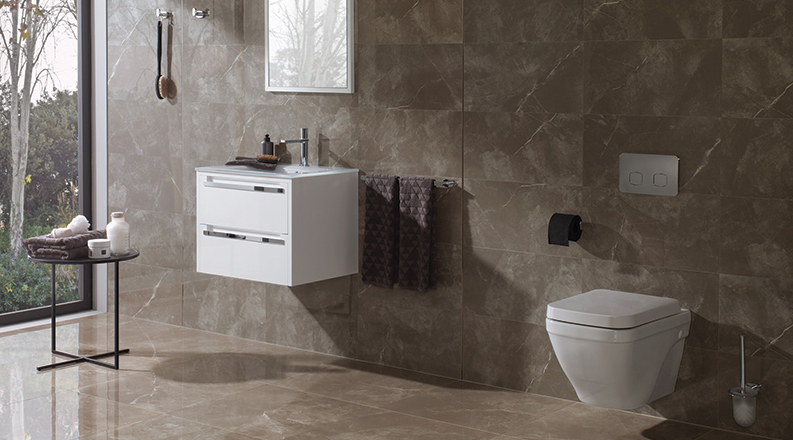 This is why we provide a range of traditional bathroom suites which include a traditional WC, basin and bath. 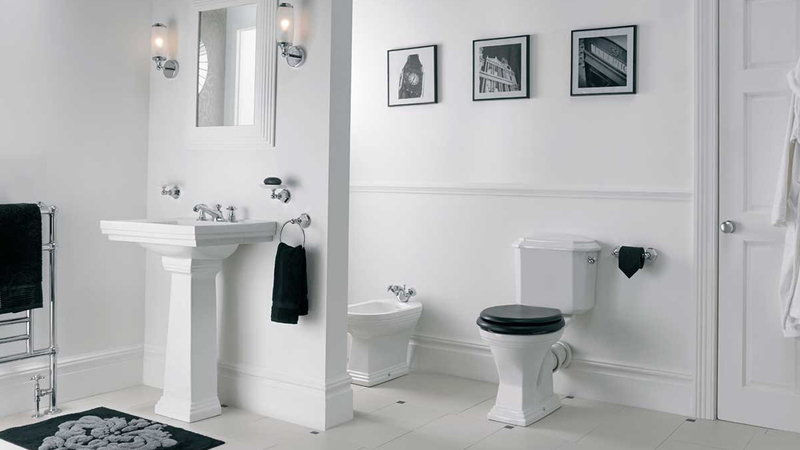 With such a vast range of period bathrooms, you will be spoilt for choice. 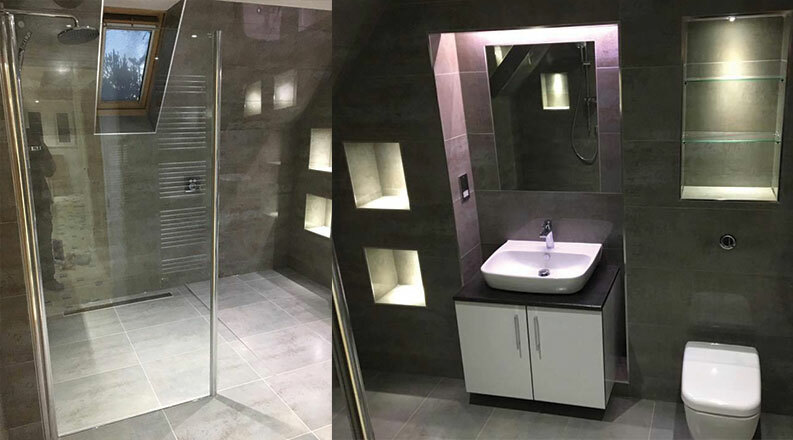 If a modern bathroom is more to your taste, then our contemporary style bathrooms can easily help you achieve the right look. 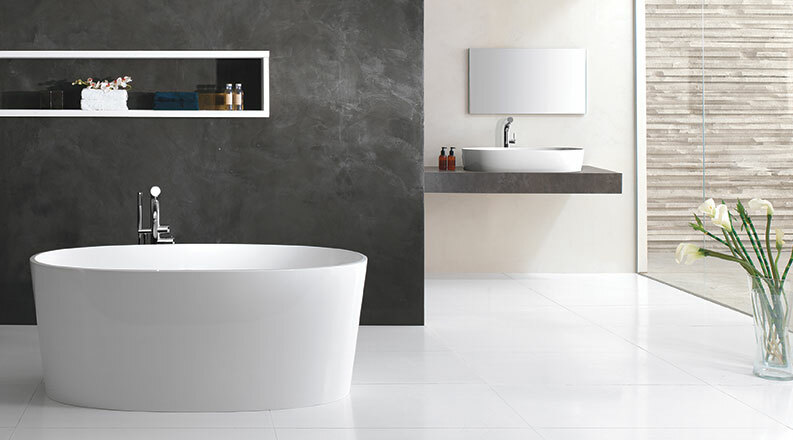 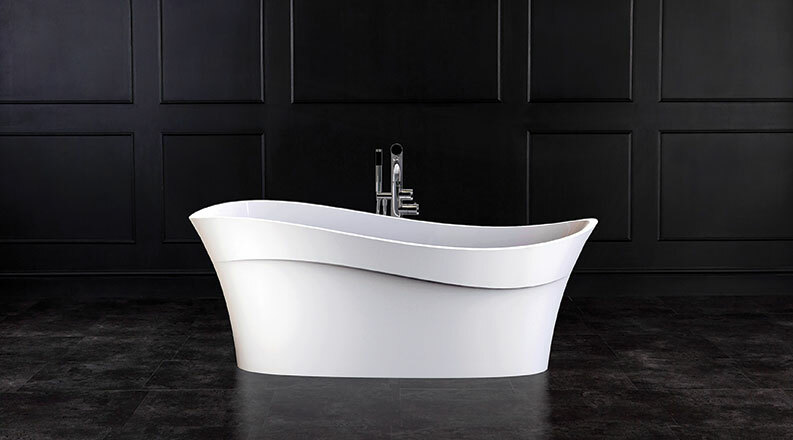 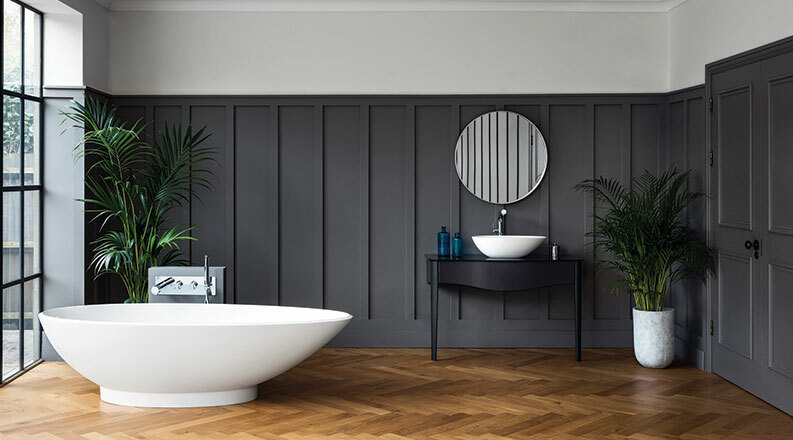 Teddys Bathrooms offer a vast range of luxury designer modern bathroom ideas that will help you create your dream bathroom, modern or cutting edge. 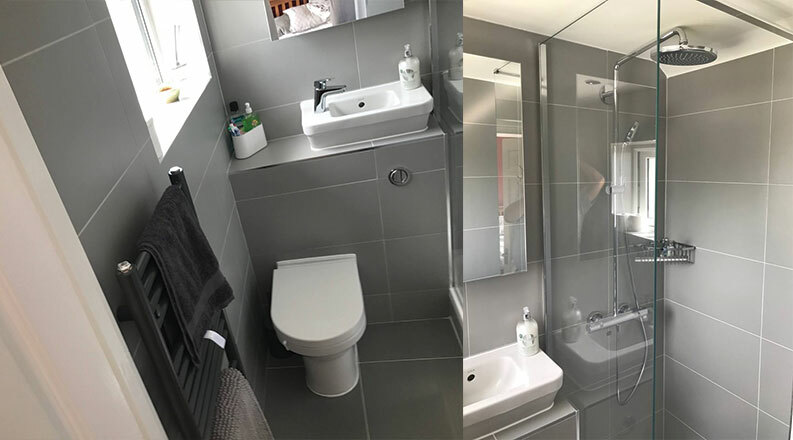 With an increase in the number of bathrooms in the home our approach to modern bathroom design means you can have continuity across all your bathrooms if you wish. 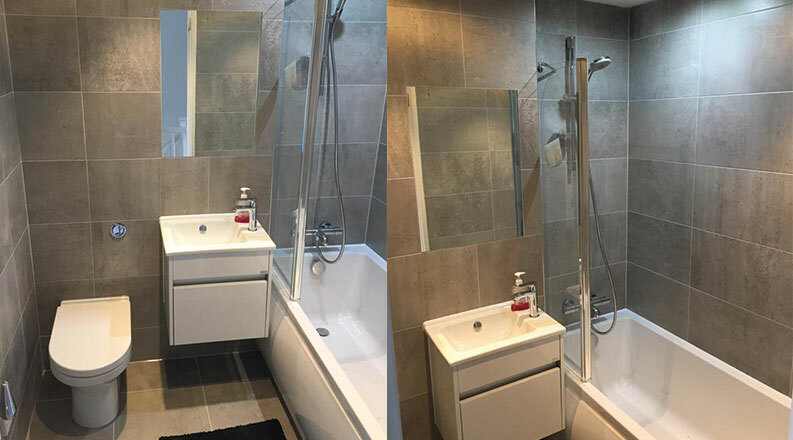 We have lots of happy customers with differing types of work, from a simple bathroom installation to the more complex bathrooms. 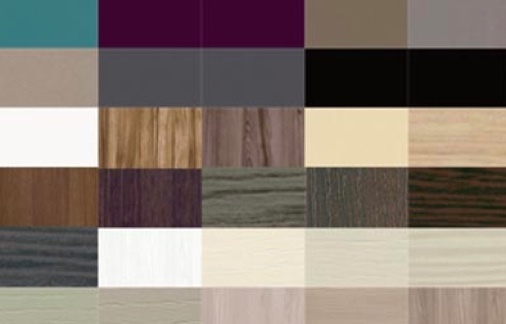 So far (touch wood) all our customers that’s 100% would be more than happy to recommend us to family and friends, so please feel free to ask for any references. 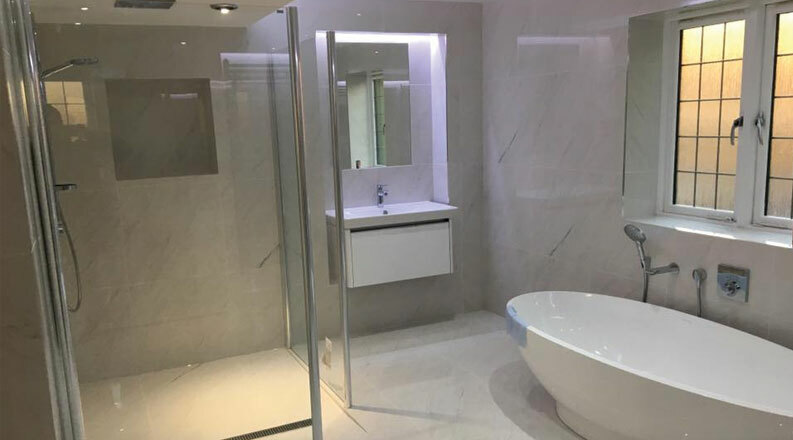 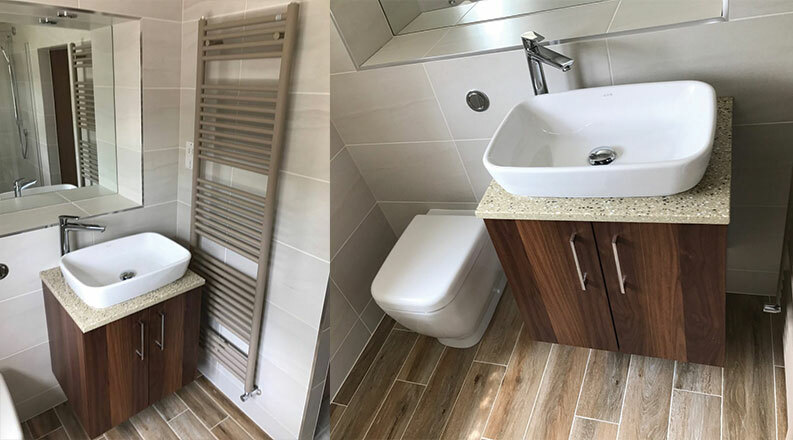 We have put together just a few of our recent bathroom installations just to help you see some of the finished work (However were not sure our images do the finished job justest). 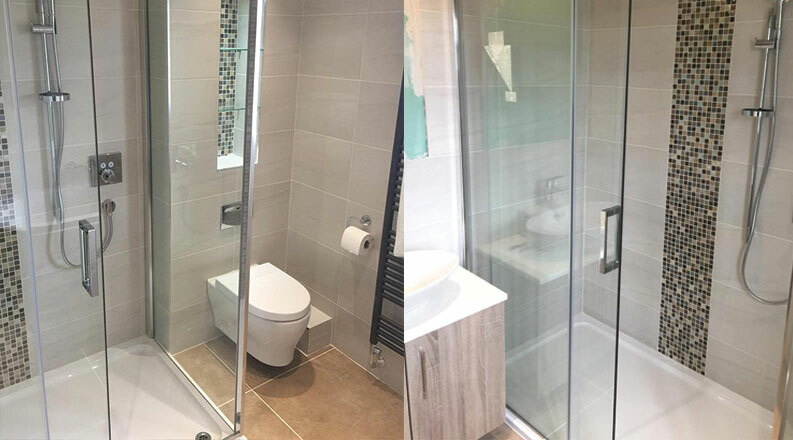 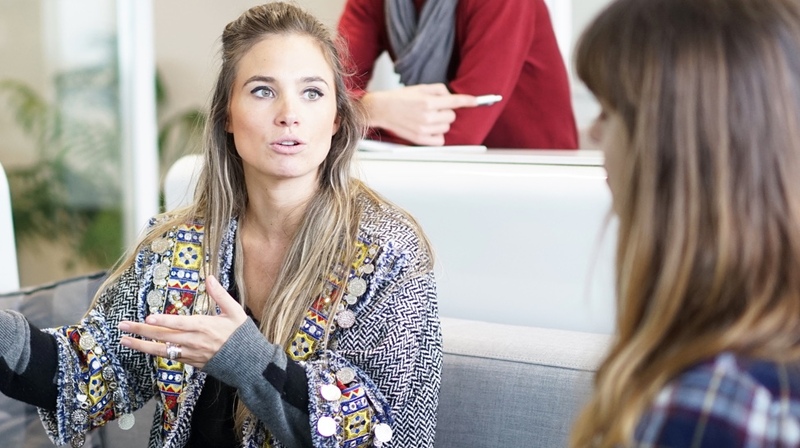 Our process from start to finish means we make the whole project as hassle and hands-free as we possibly can. 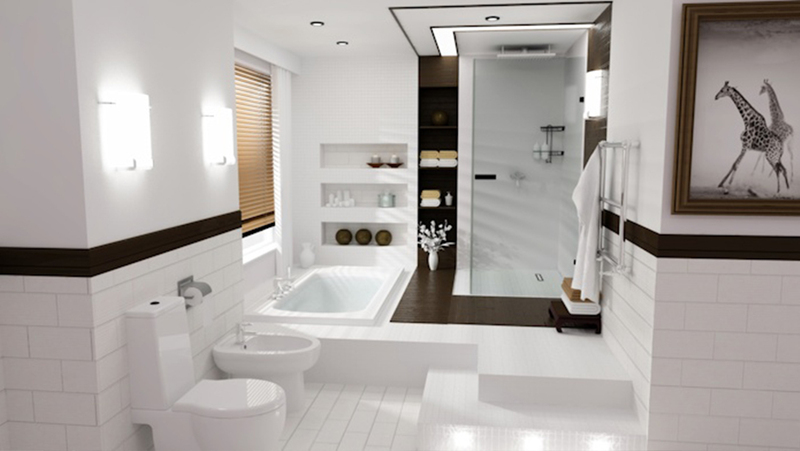 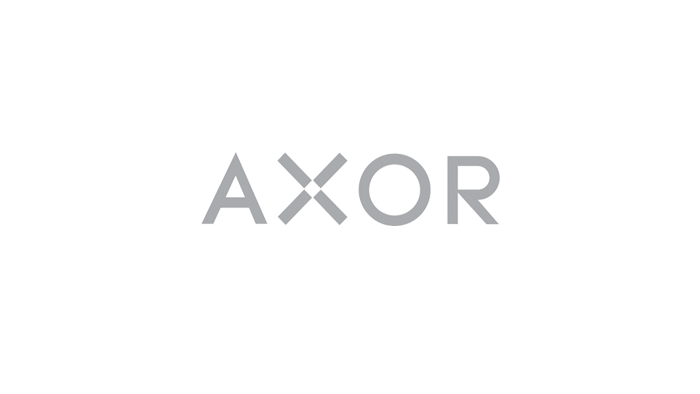 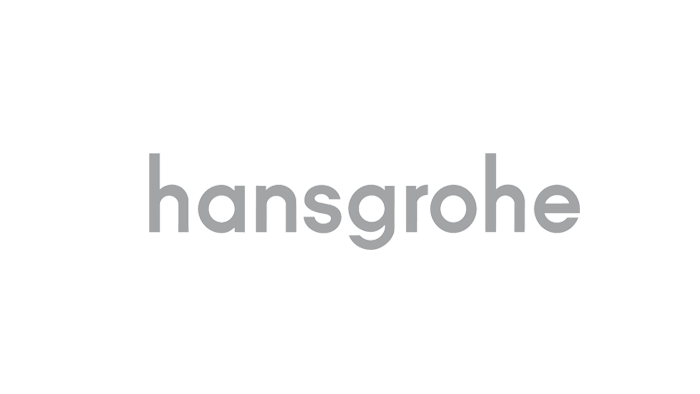 Providing 3D visuals, drawings and any submission of planning or all building notices. 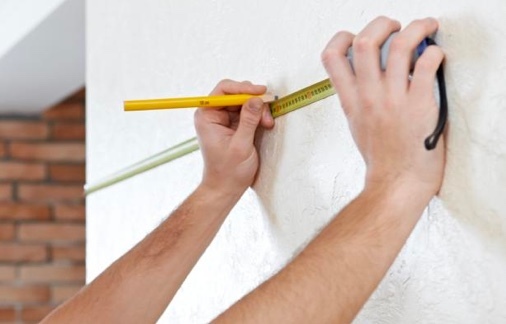 We can also deal with the building inspector, so you don’t have to. 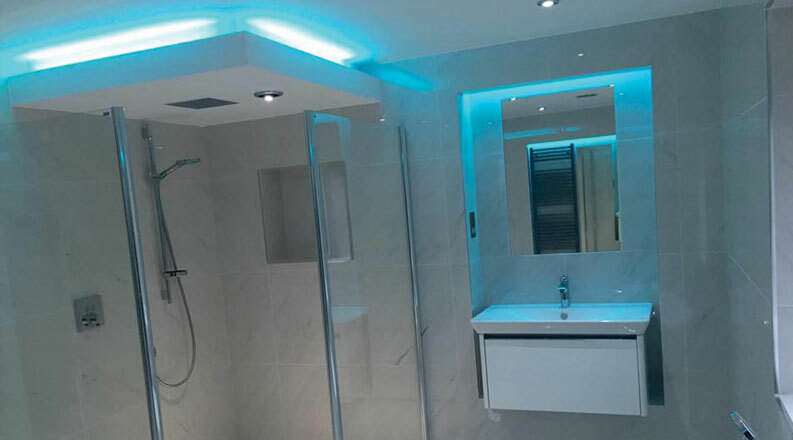 Our interior design and install team can take care of all types of decorating, flooring, lighting, audio, visual redesigning of rooms and fittings. 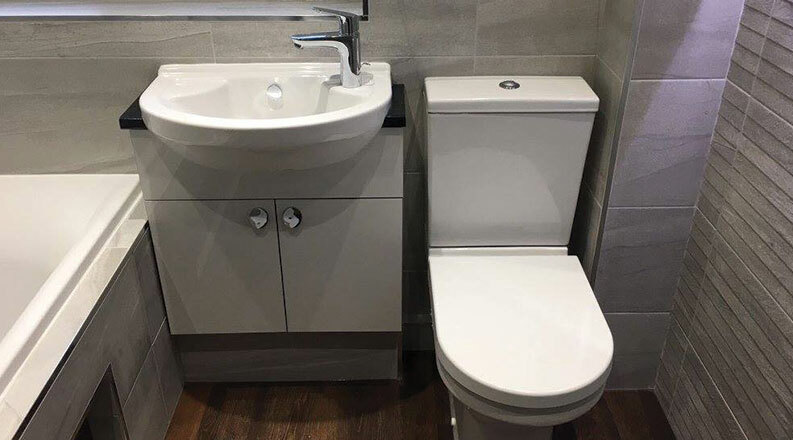 How do we manage your new bathroom space? 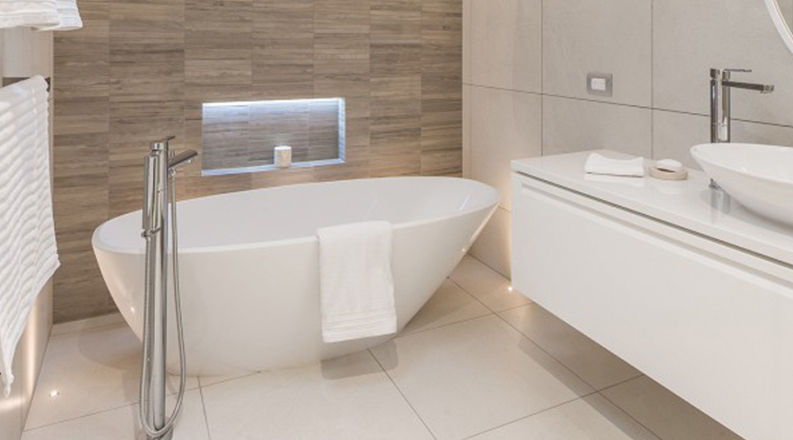 Before we start the design process, we will take the time to find out a little more about you and how your new bathroom space needs to work for your lifestyle. 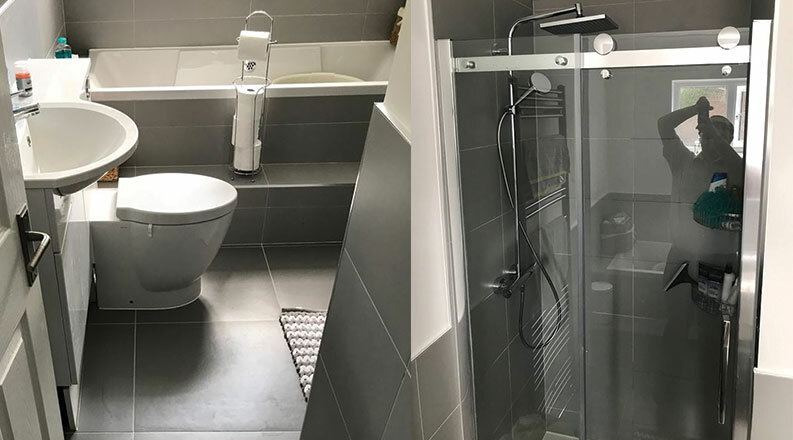 After your designer has taken all measurements, we will create a 3D design of the finished bathroom space, incorparating all the new design idears and finishes. 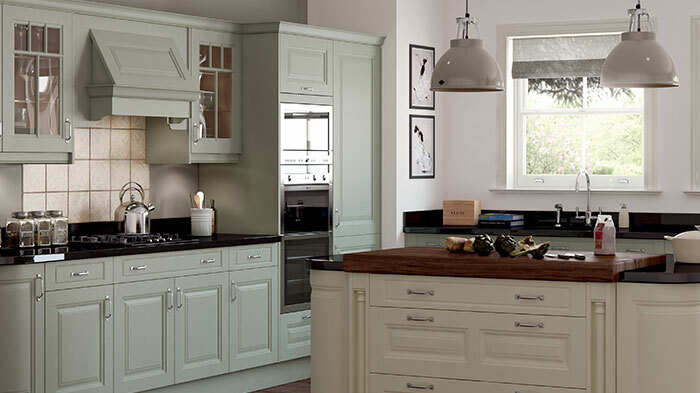 We’ll also be on hand to talk you through the different finishes, and even make any amends to the new layout. 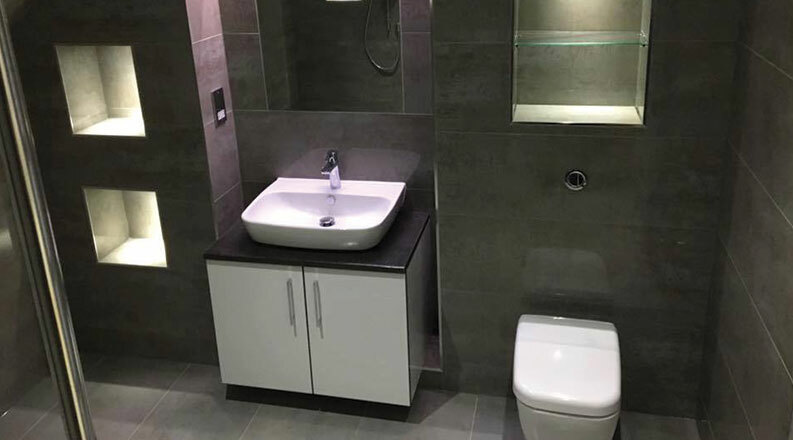 After your bathroom Installation is complete, our service doesn’t end there, we’ll keep in touch to make sure you’re your happy with every aspect of our work, and hopfully build on our relationship for any future needs! 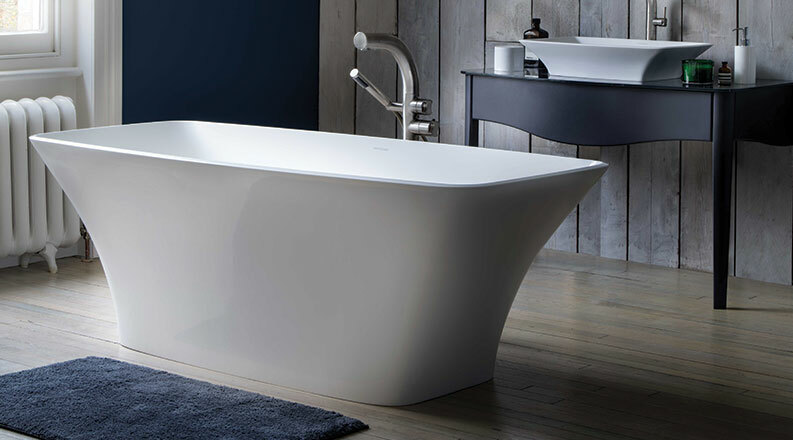 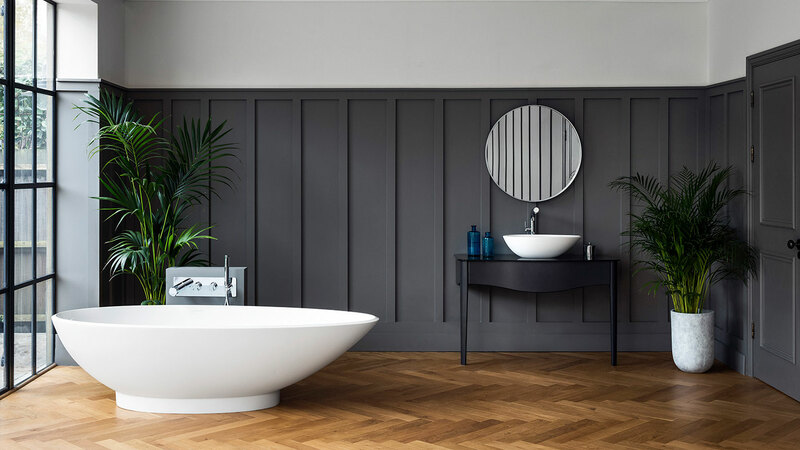 Our modern bathroom suites alter in their shape from smooth curved edges to more geometric shapes, which are bang on trend for modern contemporary bathrooms right now. 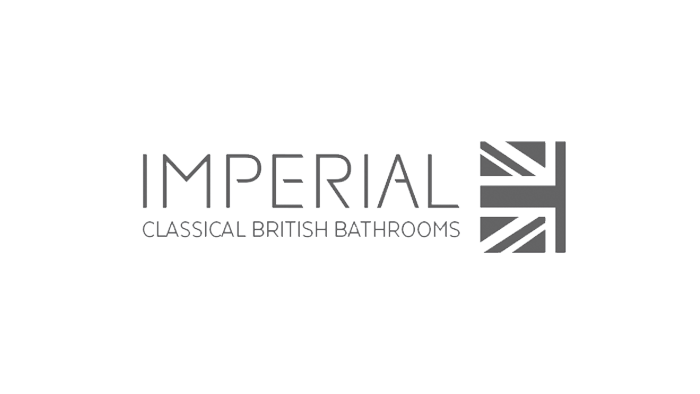 With our traditional period bathrooms, you will find beautiful vintage pieces that add glamour to your bathroom. 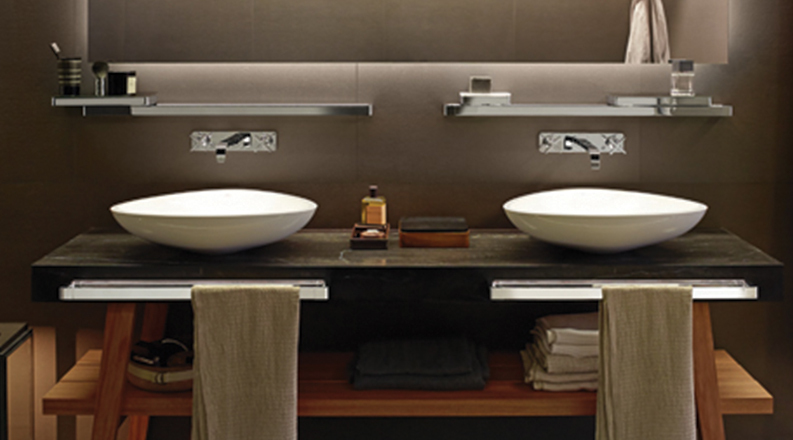 These suites are all about exuding luxury enable you to create a look of grandeur in your bathroom. 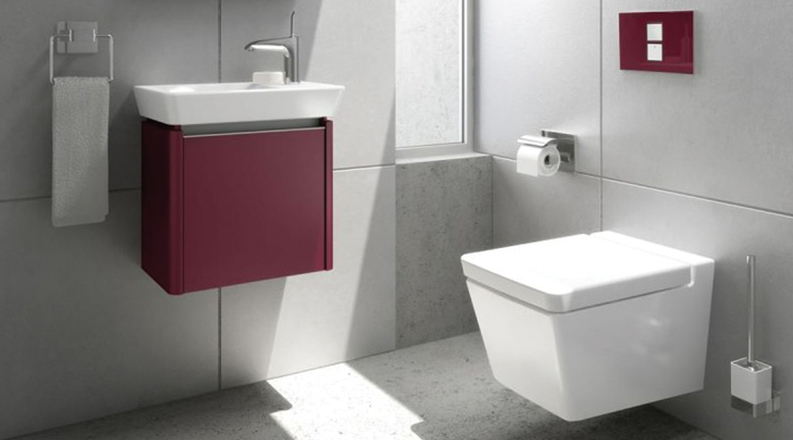 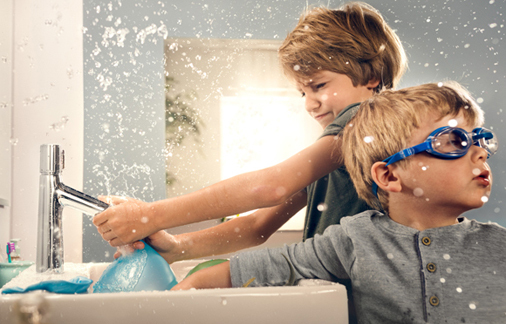 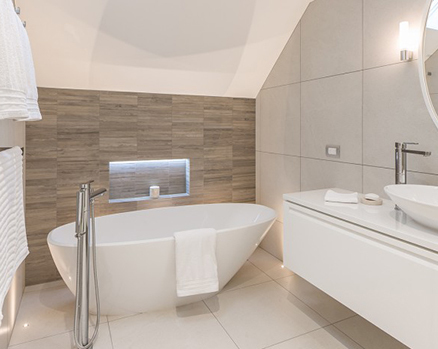 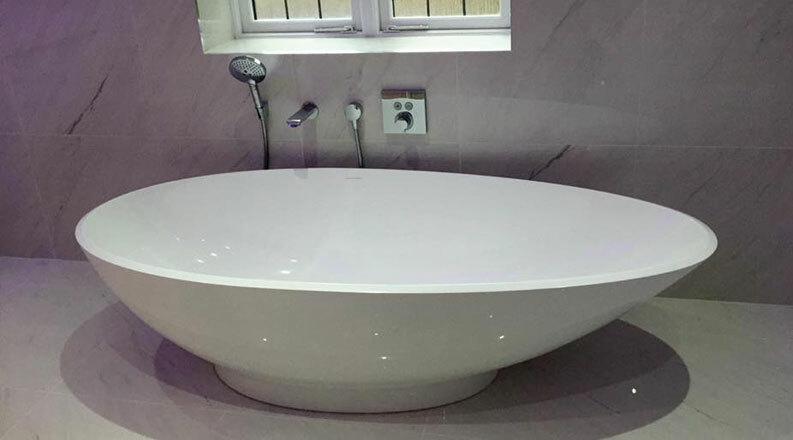 Teddys at Home are a long-running bathroom family business; we have been designing and installing bathrooms and undertaking complete build and renovation work for many years. 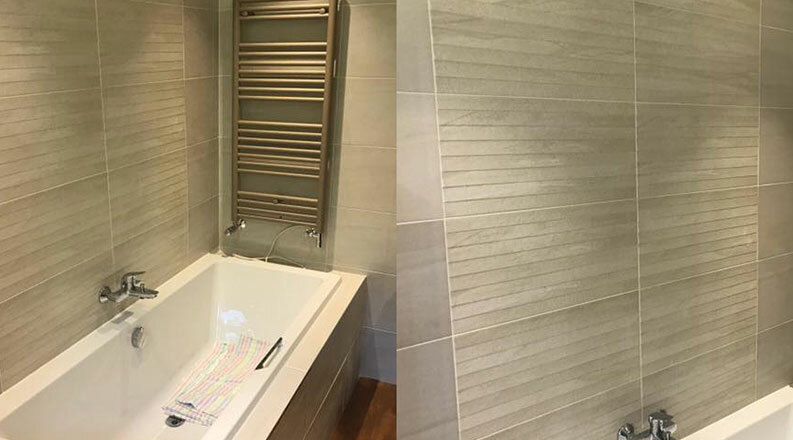 We are very well known locally and carry out most of our work in the Ingatestone, Chelmsford, Essex and East London area. 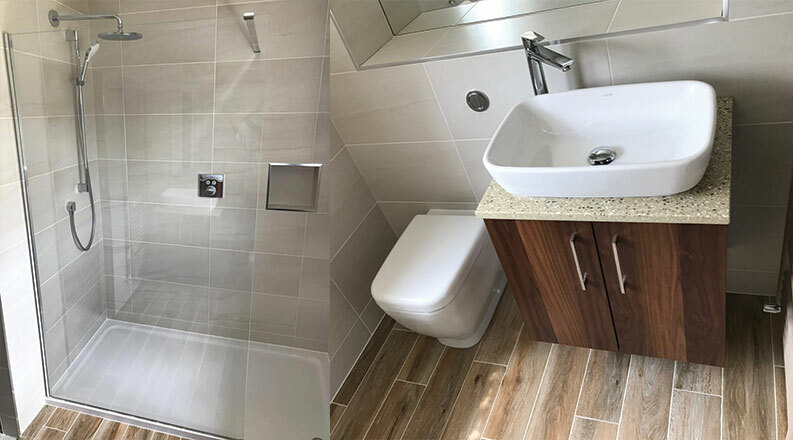 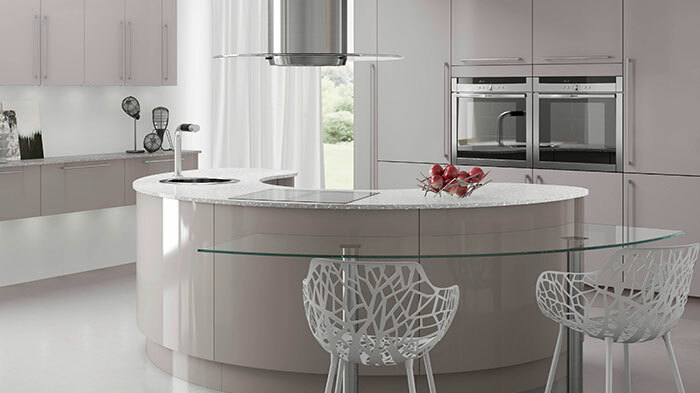 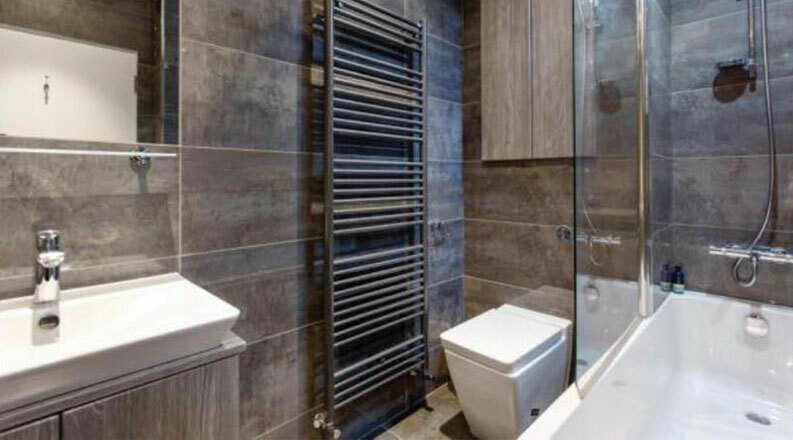 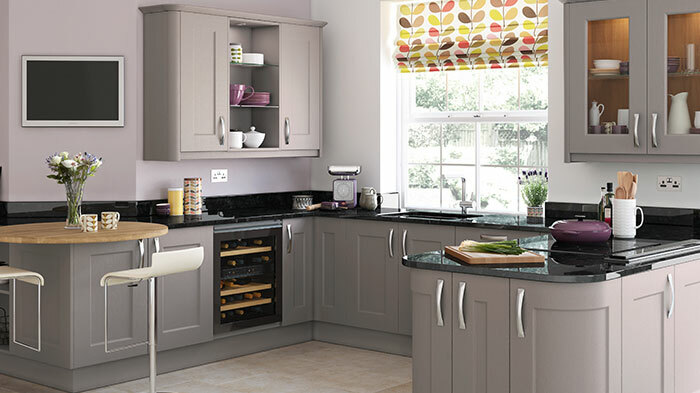 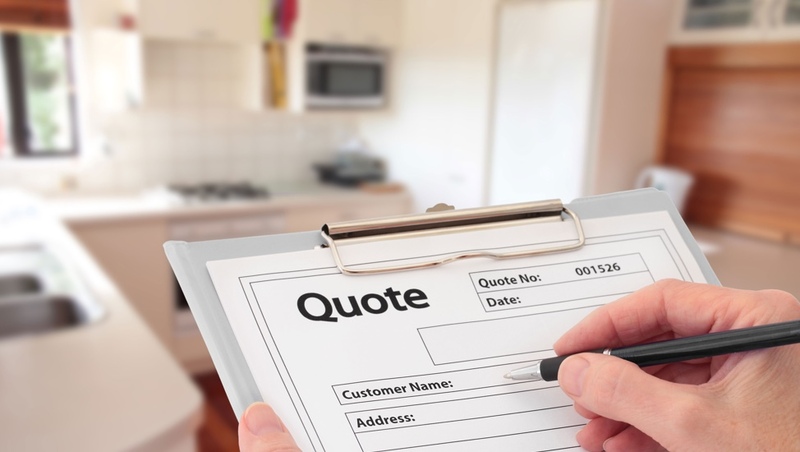 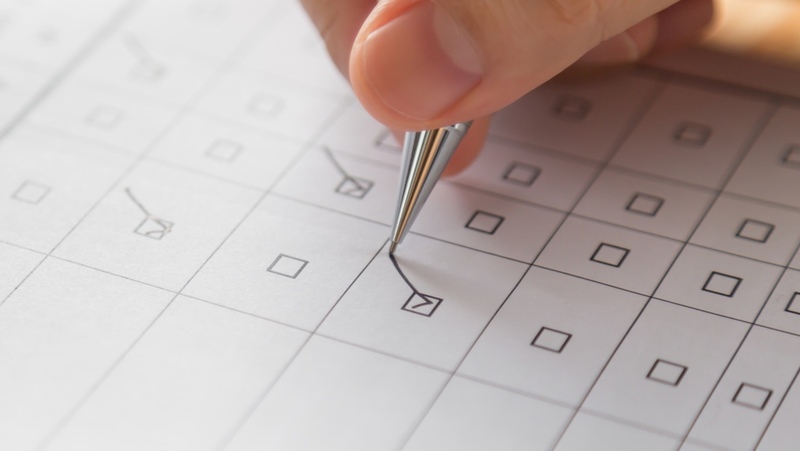 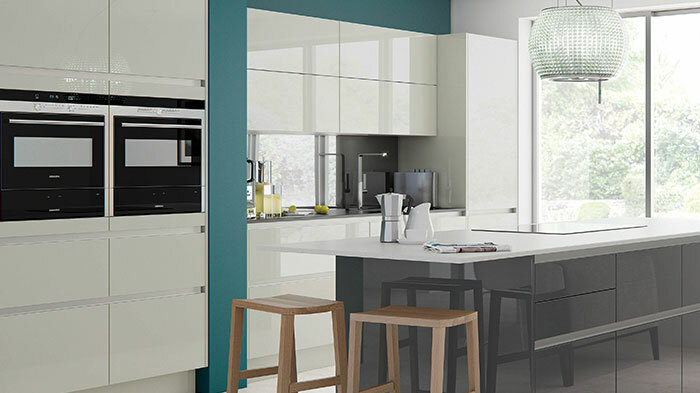 Our team have over 70 years accumulated experience – not only in every aspect of designing and installing bathrooms, kitchens, bedrooms but also in new home builds, rebuilds, renovations and extensions. 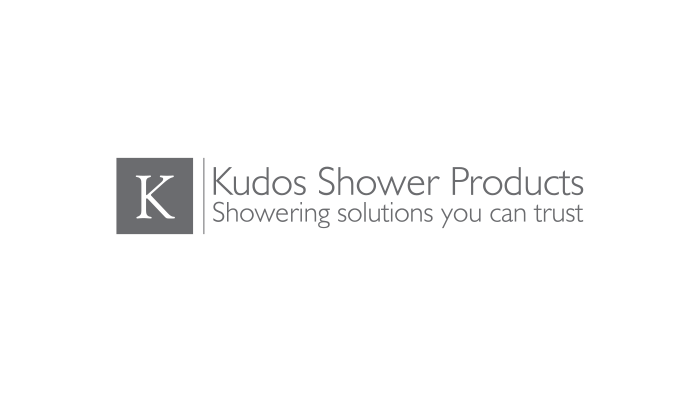 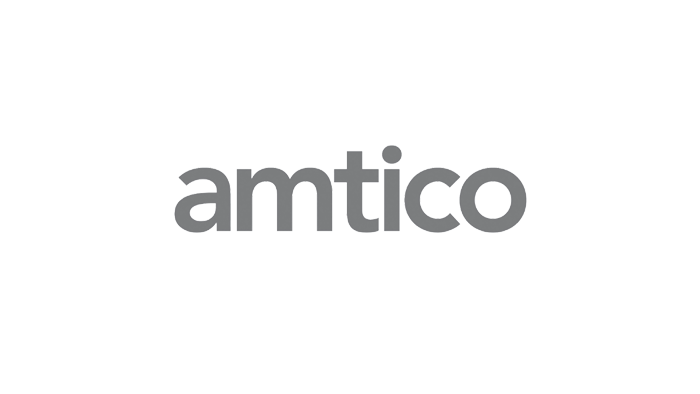 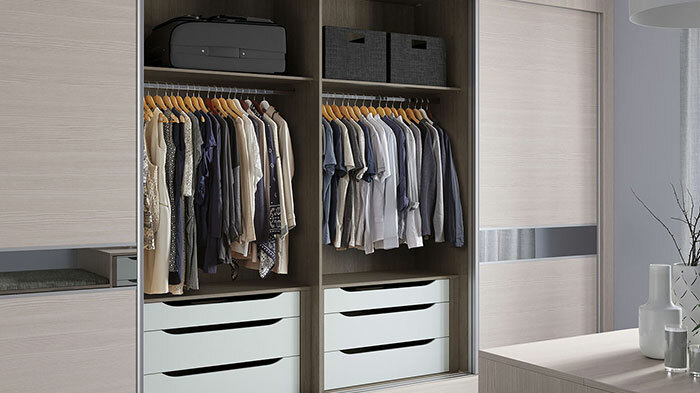 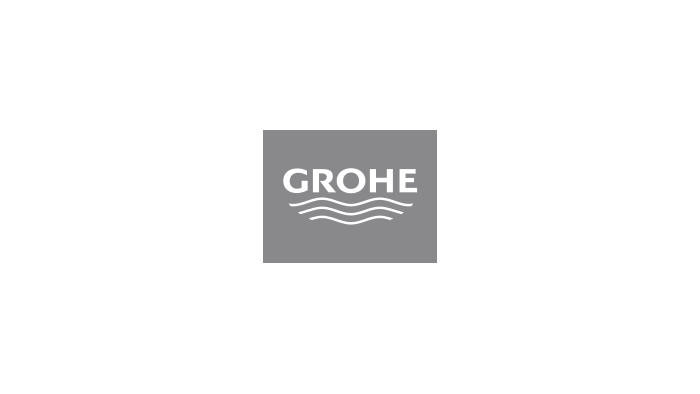 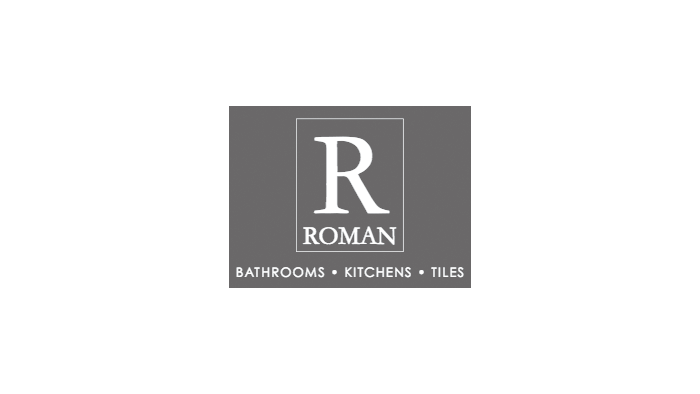 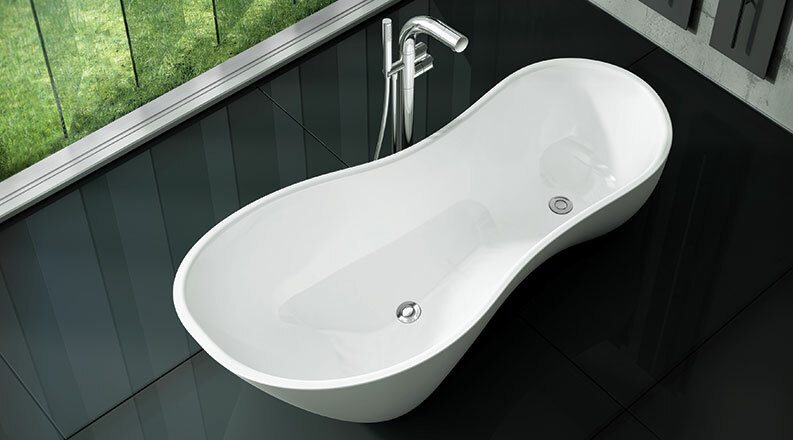 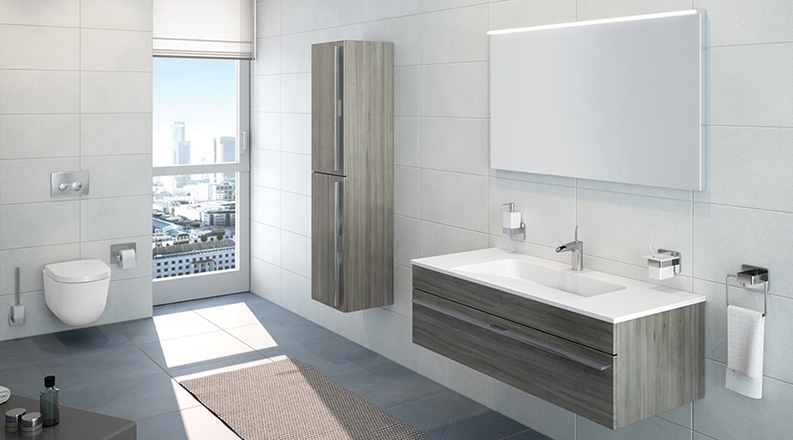 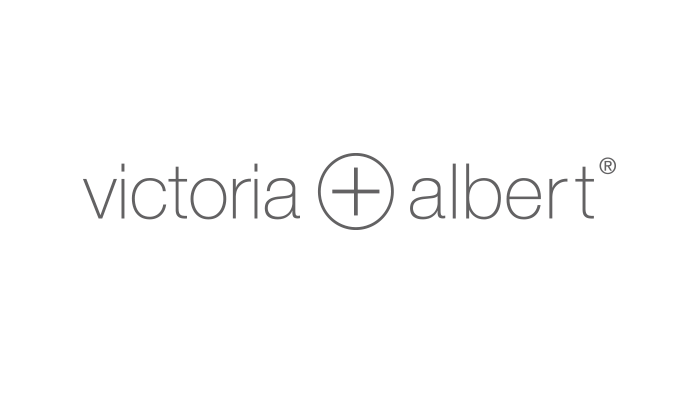 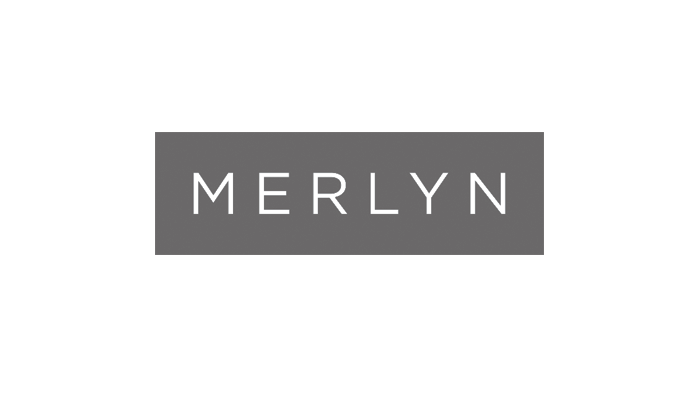 We stock 1000's of bathroom products from leading brands, along with showroom favourites. 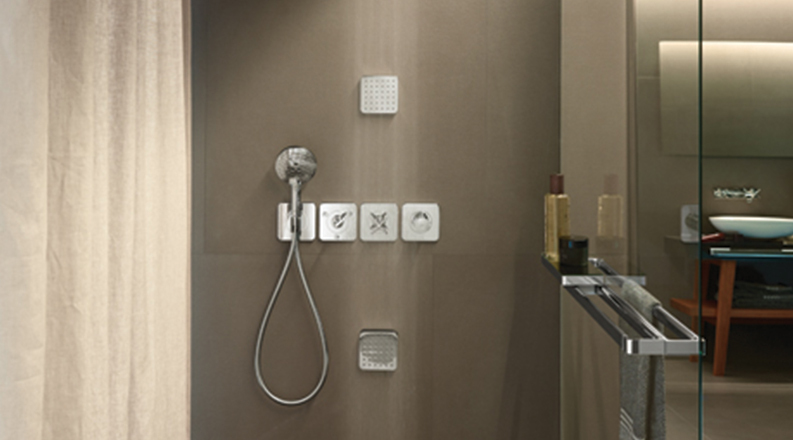 Add them finishing touch to your new bathroom with 100's of taps, showers, handles & accessories to choose from. 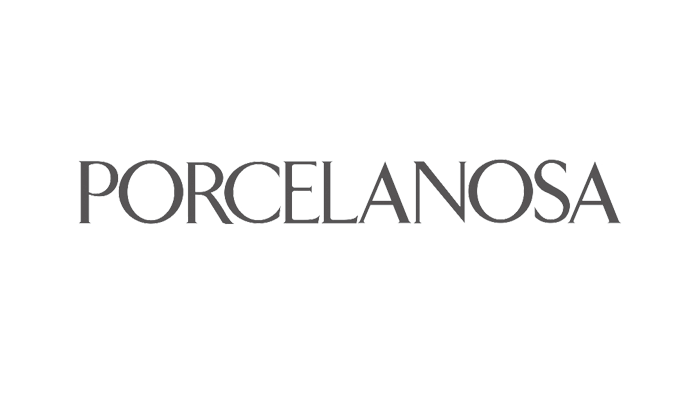 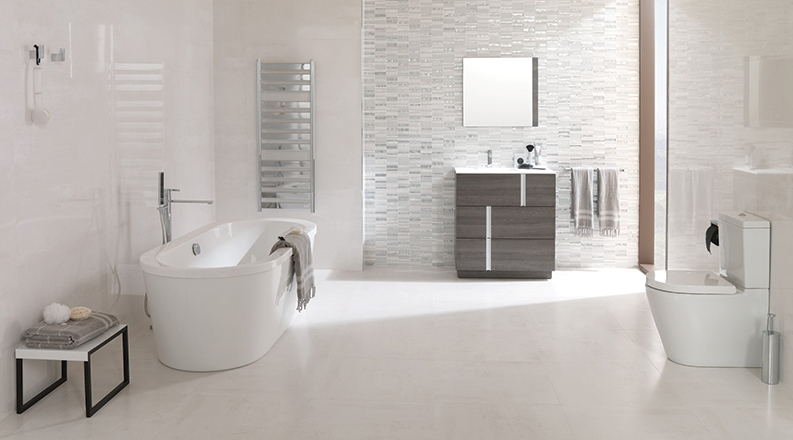 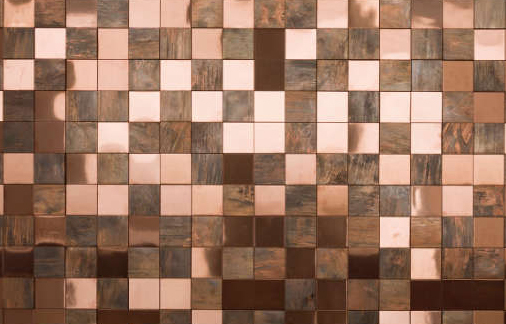 We have a vast range of Tile options from the best brands on the market, we help make your dream bathroom a reality.